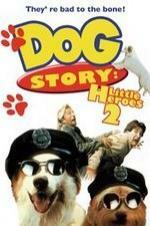 Buy or Rent Little Heroes 2 (2000) Movie DVD & BluRay Online! Movie Plot: Charlie and his dogs, Samson and Hercules, travel with Aunt Karen to see the ships at the Naval Yard. While Charlie and his Aunt are touring the Naval Yard, the dogs save an old man who falls off the pier into the ocean. TV reporters broadcast the heroics of the two dogs hailing them as ‘Little Heroes’. On camera, Charlie is offered a free trip to Universal Studios Hollywood and an animal hero medal for each of the dogs. Meanwhile, Carney and Slick, the two bumbling convicts previously captured by our two four legged heroes have escaped from prison and head for Hollywood in search of revenge on the canine duo.